A pre-owned Hohner Atlantic IVN 120 Bass Accordion. 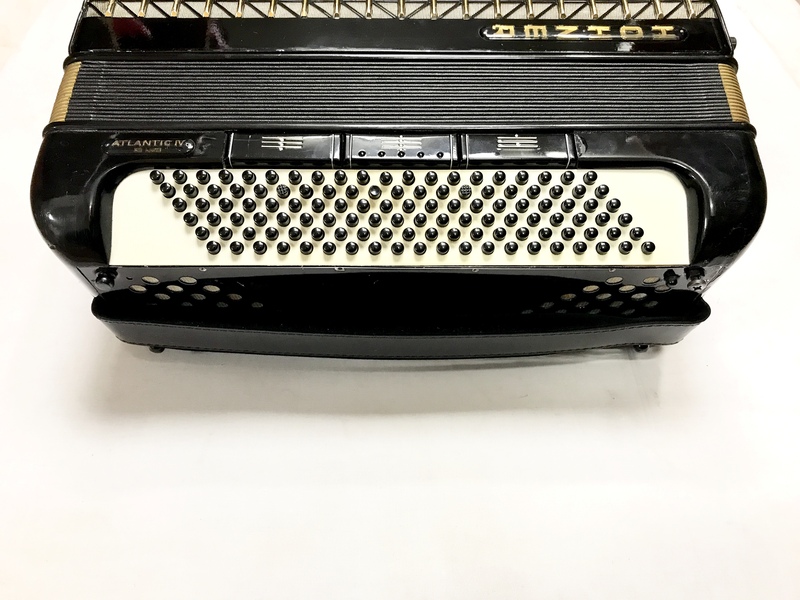 This full size 120 bass button 41 treble key accordion was built in West Germany by the highly respected Hohner factory, most likely during the 1970’s. 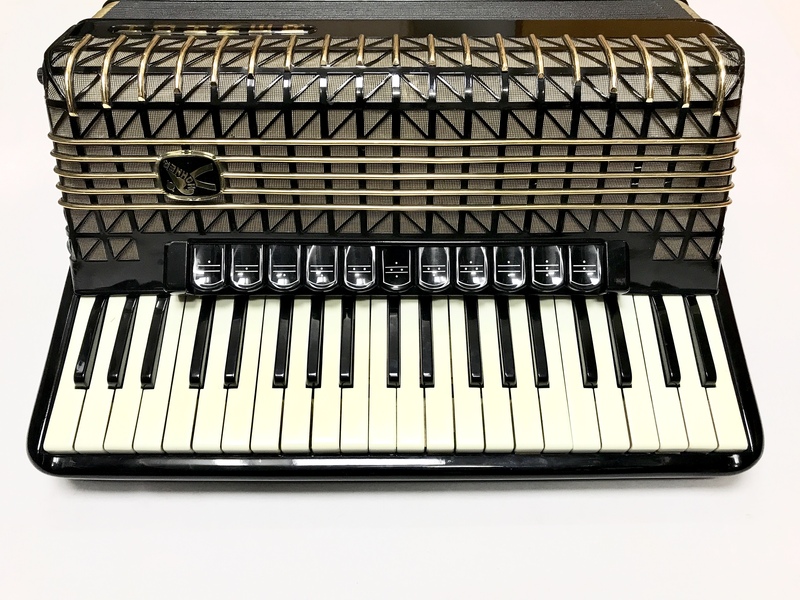 This accordion features a four voice double octave tuning, making it ideal for the classical, jazz and latin american styles of playing, which helps to produce a full rich treble sound and a powerful bass tone. We currently have three of these accordions in stock starting with prices starting from just £850. Please contact us for further details of pricing and condition of the individual instruments. 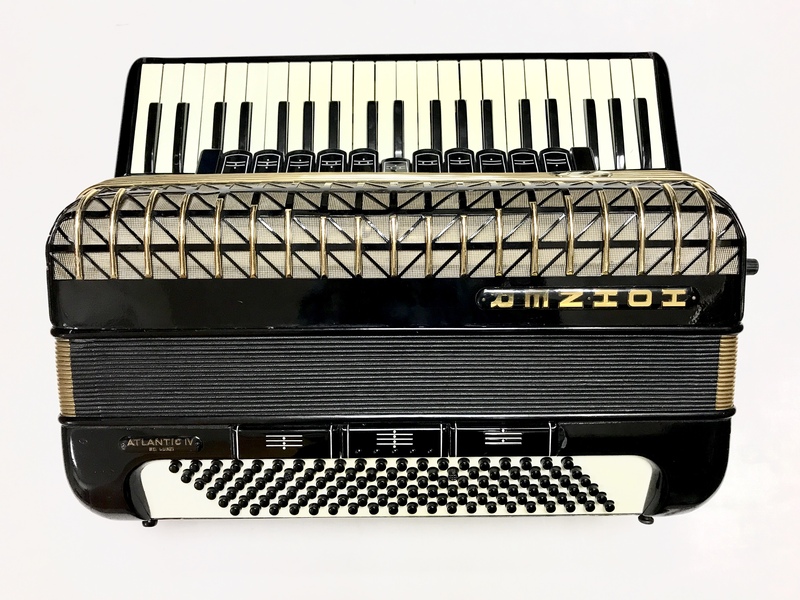 A 0% interest free loan is available on this Hohner Atlantic IVN 120 Bass Accordion subject to status via the Arts Council. Terms and conditions apply – please contact us for full details. This Hohner Atlantic IVN 120 Bass Accordion comes complete with a hard case and padded shoulder straps. 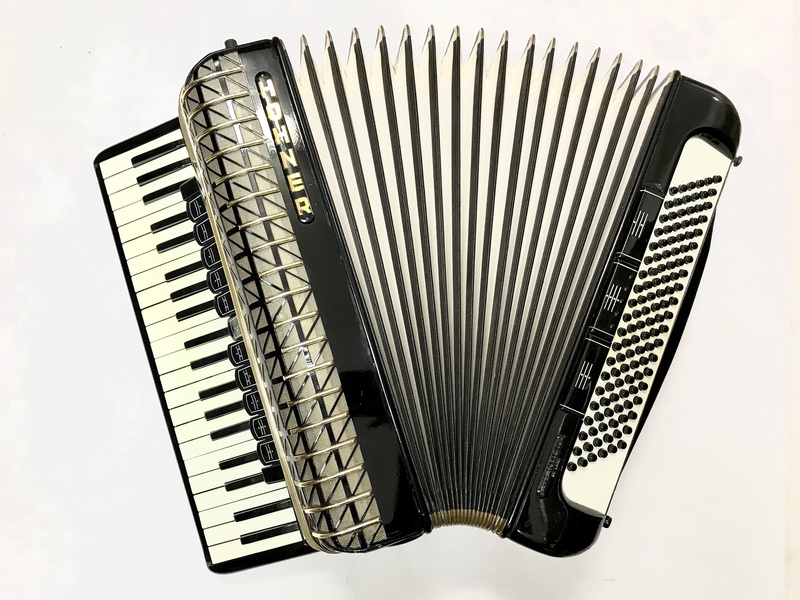 Don’t forget, free delivery of this Hohner Atlantic to most parts of mainland UK is included in the price! Weight: 9.53 Kg. - 21.9 Lbs.